Charming accommodation offering year round bed and breakfast B&B and in summer a self catering villa rental with pool and garden for a relaxing holiday. Villa Rosalena offers large ensuite rooms and stunning views of the river and hills of Bagni di Lucca in Tuscany for a perfect vacation. 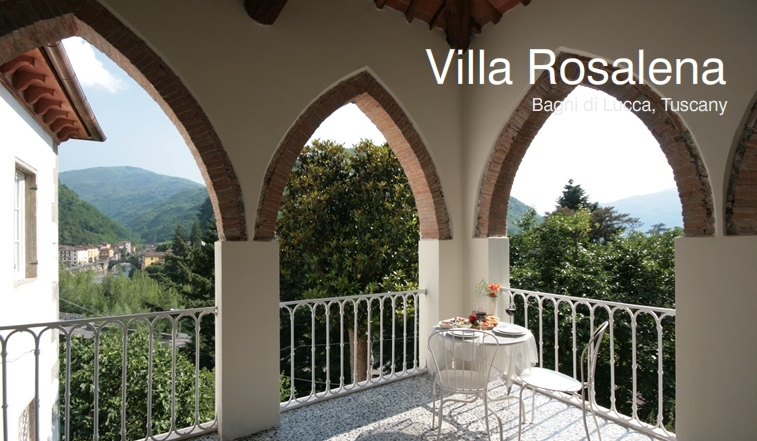 This historic Tuscan spa town offers beautiful scenery, restaurants for every budget many within easy walking distance of Villa Rosalena, thermal spa, excellent public swimming pool and good transport by bus and train.